The Fourth of July is a great occasion to spend time with friends and family members. However, all the preparations and holiday expenditures may result in quite heavy expenses. To help you save your money and still enjoy the celebration, there is a plenty of tips of how to spend the 4th of July with a festive spirit and not get broke. It’s not necessary to buy fireworks yourself (as everyone around seems to be doing it as well), but you can spend around ten dollars on a set or simply get some sparklers to avoid danger coming from using fireworks. Another option is to watch big community displays happening somewhere nearby—that will definitely look more spectacular than anything your neighbors can pull off. Hosting or attending barbeque cookout is the most popular and traditional activity on the Fourth of July. The costs of such a party have decreased comparing to the last year, so organizing it might be very entertaining. Nevertheless, it can still be costly, so another option is to turn the party into a potluck where everyone brings something of their own. You can also enjoy a simple picnic in the fresh air and watch firework displays at the same time. Most likely, you won’t be using the decorations for the second time and they will be thrown away after the party, so it makes sense not to spend too much on them. You can check out the dollar stores where the decorations are usually extremely cheap, or even make some yourself. There is also a great opportunity to buy them for the next year right after the holidays when they will be on discount. It’s easy to get some treats like red, white and blue ice cream, and their color palette would be right to the point of the holiday. Also, you can make a thematic cake with a patriotic-looking frosting like small stars and stripes out of sprinkles. Does your room have that shelf with college textbooks you no longer use? Get some cash easily and quickly by selling them on BooksRun.com! Next Post When are the best times to sell textbooks? 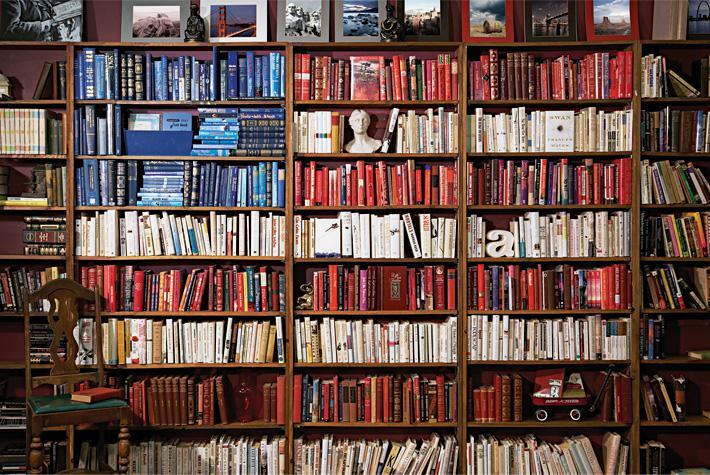 Can I use this image of books as a flag, to promote a free course for veterans? Hi Charles! This image has been most likely taken from one of the websites with free stock photos, so it does not belong to us.